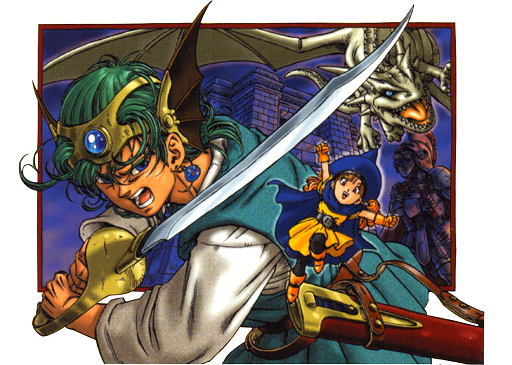 The first three Dragon Quest games featured rather generic, fairy tale-like stories – the hero must defeat the forces of evil and save the world. 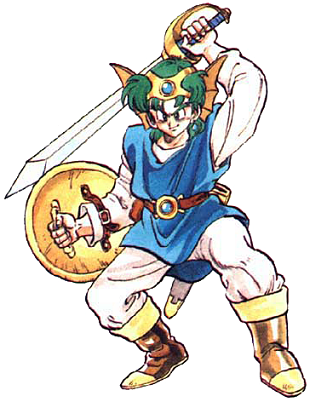 This main theme remains in Dragon Quest IV, but there is extra flavour through the various main characters are their respective fates. It is a nice evolution from a strictly Dragon Quest perspective, although the end result is still rather lacklustre in comparison to other games in the early 90s. Still, the Dragon Quest games possess a unique charm that also helps – the world, the monsters, the lore will be familiar to people who have played the first games. 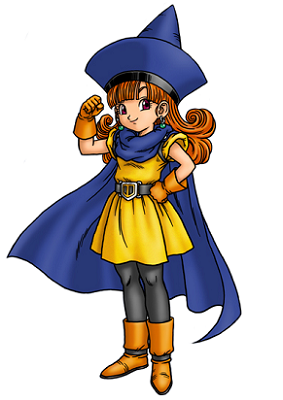 As the game is split into several chapters, we get to play as several groups of heroes before the main quest, the one of the Dragon Quest Hero that we get to name, begins. In the first chapters, we get to know about each of these characters and their motives to go on a quest against evil. For some, it’s a life mission, for others, it’s motivated by revenge or money. Everyone in the world is familiar with the prophecy of the young hero who will emerge and defeat the ruler of evil. Everyone, the forces of evil included. And they will do what is in their power to prevent that prophecy from being fulfilled. So the Hero is hunted before he can even start his quest. The role of the villain, Necrosaro, is another thing that makes this story stray a bit from the completely generic path. Unfortunately, his motives are only vaguely hinted at in several scenes. Maybe it’s the experience with much more complex RPG stories in me speaking, but I thought that perhaps there were some tragic events in Necrosaro’s past that pushed his towards evil. Nevertheless, what’s important here is that we have a thought-provoking, if vague villain, unlike the previous Dragon Quest games. 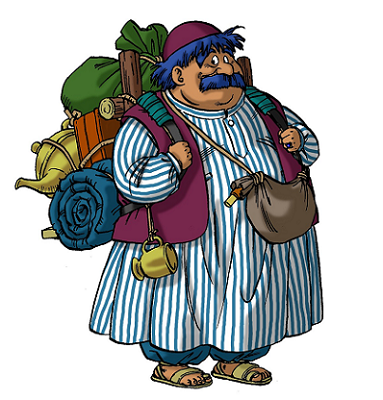 The cast is really quite important in Dragon Quest IV. I’d say even THE most important element of the game. The chapter-based nature of the game gives more screen time to the eventual Hero’s sidekicks – they have their own missions, going their own way, before everyone unites against evil. There are four chapters before the final, decisive one – in the first one, you control the soldier Ragnar, part of Burland’s royal guard. 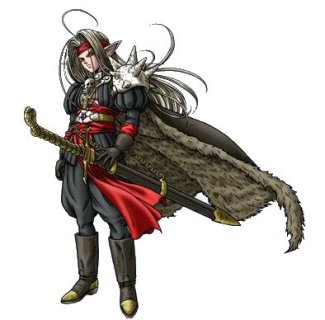 He is not too different from a typical Dragon Quest protagonist – a warrior displaying qualities like virtue, a strong sense of justice and care for the weak. Thus, the game begins rather typically, but the best is really yet to come. Afterwards, you meet much more interesting characters like the Princess of Santeem, Alena, who is a tomboy and using every chance to escape from the castle and go on an adventure, despite the worries and warnings of her father, the King. When he finally sees that there is no helping her and gives in to her requests, two loyal servants join her on her quest – the elderly tutor and skilled magician Brey, and the chancellor Cristo, who seems to have a crush on Alena, and specialises in healing magic. Alena is interesting, as despite being a princess, she’s not afraid to rush into battle, sometimes even recklessly. Fortunately, Brey and Cristo act as counter-balance, and help her not get into trouble too often. Another character getting his own chapter is Taloon, an aspiring arms merchant whose dream is to open his own shop. The support of his loving wife and son gives him extra strength to pursue his goal – both by fighting dangerous monsters in the wild in order to obtain valuable treasure, and by the more trivial merchant “buy low, sell high” means. Taloon is a pretty special character, especially when he becomes just part of the Hero’s party – his AI-controlled moveset contains strange moves like kicking sand into your opponents’ faces, yelling to scare them, etc. Taloon got so popular he even got his own roguelike spin-off RPG series eventually. 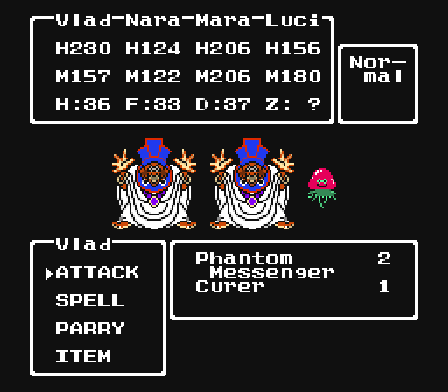 Finally, we’ve got the sisters Mara and Nara from the small Kievs village. 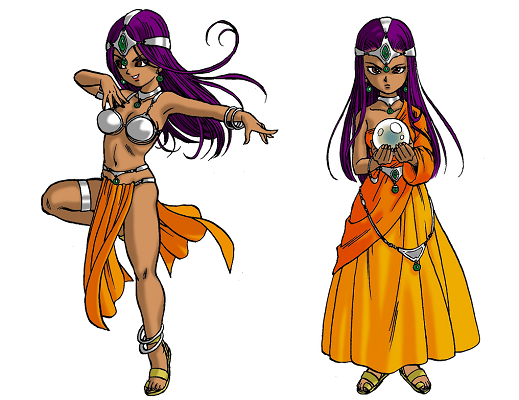 Mara is the older sister, she is a dancer who is very famous in the town of Monbaraba. Her sister, Nara, is a fortune-teller and a more level-headed person, but they are both driven by their desire to get revenge for the death of their father, the alchemist Edgar. They suspect Balzack, his pupil, of the murder, and are hunting him down. Sadly, Mara and Nara are not as compelling as Taloon. While there is potential with Mara being more reckless and Nara being her opposite, the game only offers interesting sister-sister dynamics and small clashes of their personalities on a couple of occasions. I already mentioned Necrosaro and what makes him interesting. As far as NPCs go, the game is actually better than most of the period, with many of the townspeople having something funny to say, some even with a tiny side-story that develops alongside your quest. It’s nothing groundbreaking by any means, but it’s a very neat bonus, adding charm to the game. I also have to mention Celia, the Hero’s friend from his hometown, whose role isn’t very big, but she is very likable with her pure personality and devotion to the Hero. There is also Rosa, an elf who Necrosaro is close with, giving extra dimension to his character. It’s a Dragon Quest first and foremost. The foundations established by the very first game are strictly followed – traditional turn-based combat, “first-person” view in battles (you only see the enemies before you) and no battle animations, aside from basic blinking when you hit an enemy or blast it with a spell. Movement in towns, dungeons, and on the world map, is from an overhead view. As you gain enough experience, you level up, and the higher your level, the more experience you need to do so. Stronger monsters naturally give more experience, with some neat exceptions in the Metal Slimes and Babbles giving a ton if you manage to defeat them (which is very tough). Unlike the third game, a class system does not really exist – each character has a pre-determined “class” and development tree. The magic-inclined characters learn new spells occasionally as they level up. It’s classic RPG fare, which is expected. 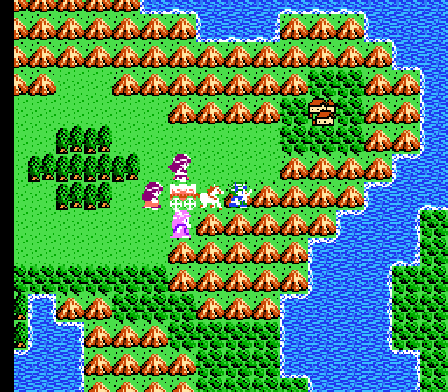 There is one really huge gameplay improvement in Dragon Quest IV – for the first time, you pretty much never get lost. For a first-time player, a guide is usually needed to beat the first three games without wasting too much time wandering around and blindly searching for the next location. But in Dragon Quest IV, you always know where you need to go or what item you need to proceed forward. All you need to do is talk to everyone in towns, and you’ll get hints, when needed. There were only 1-2 occasions where I kind of “stumbled” onto the next item or town. This is really a big plus, showing the evolution of the series. In battles in the first four chapters, it is all like the previous Dragon Quest games. 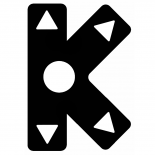 You control all your party members, picking an action for each. In the final chapter, however, you can only control your Hero in battle. The other three party members, while determined by you (once you have more than 3 companions), will be AI-controlled. You only have loose control over them in a very general command you can give, such as “Defensive,” “Offensive,” “Use no MP,” “Try out,” etc. Those commands are not much help, to be honest (“Use no MP” does help conserve MP, but that’s obviously not useful in hard/boss battles). AI-controlled allies are inclined towards specific actions, and while they generally use adequate moves, sometimes they annoy with stuff like “Sleep” on bosses that just has no chance to work. There is one nice bonus, though – your allies, like the enemies, do not pick their action BEFORE the turn starts, but right as it’s THEIR turn. So, if the enemy hurt an ally really badly right in the same turn, as an AI ally healer’s turn comes up, they immediately use a healing spell on the victim. It’s neat. Difficulty-wise, Dragon Quest IV is very adequate. Starting with basic enemies when your levels are low, they get gradually tougher as you traverse terrain and explore dungeons further into the game. There are a few occasions where some grinding is necessary to defeat a tough boss, but (unlike many LATER entries in the series, to my knowledge) it never feels extreme. Some of the difficulty stems from your party selection – the characters aren’t exactly perfectly balanced, and you’ll always have a relatively easier time with more “fighters” that can take more hits in your party than if you try to use the Hero and three mages. 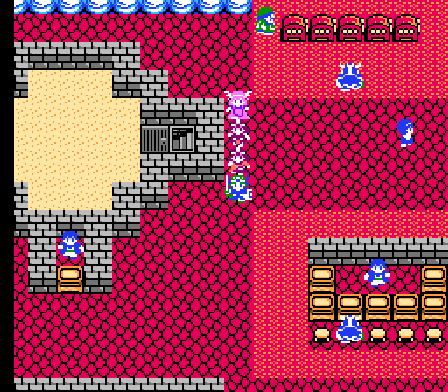 One major downside of Dragon Quest IV, in comparison to its predecessor, is the casino. In the third game, I would have so much fun betting on monster battles and racking in the cash. I’d often lose money, but I’d make back my losses quickly and make nice profits in a game where money was quite crucial. As soon as I discovered that the fourth game also had a casino, I was ecstatic, looking forward to making cash of fun-to-watch monster fights again. The fact there were also slots, poker and the like did little to me – monster battles are where the Dragon Quest betting fun really is. Unfortunately, my enthusiasm was quickly squashed by the discovery that the game wouldn’t allow you to deal directly in the currency – you first had to buy special casino tokens, which could then be exchanged for items – but not money. Maybe it was just psychological, but this really put me off – instead of winning money you could do anything with, these wins would merely amount in gathering tokens to spend among a very limited selection of items (like 8). In result, I spent like 10 minutes in the casino in total, in comparison to the 5-6 hours I spent betting on monster battles in the previous game. 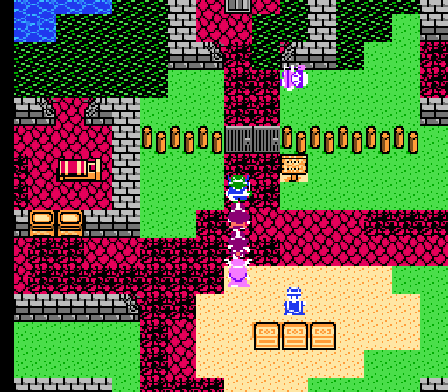 Dragon Quest IV is a late NES game, and it shows, in terms of graphics. Of course, the hardware limitations do not allow it to look particularly amazing, but the improvement is visible, particularly in the more detailed character sprites. As you see, for instance, Taloon’s official art, you’ll be surprised at how nicely the sprite represents it. The overworld environments, towns and dungeons are also a step forward. For instance, the bleak, melancholic environment in the ruined town of Aktemto, combined with the music, really strikes home. There are numerous other places that really stand out, such as a magical kingdom, and, of course, the world of evil and the last areas in the game. 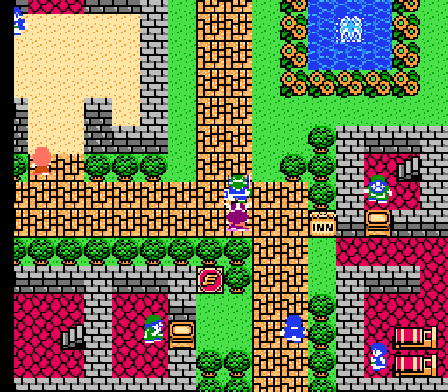 As a whole, Dragon Quest IV has pleasant aesthetics that manage to create the desired atmosphere well, despite the graphical weakness of the NES. The music is also nice for an 8-bit game, although there aren’t any songs that really stand out. As a whole, it complements the game and its theme nicely, and helps create the desired atmosphere. The song I’ve chosen plays in the aforementioned ruined mining town of Aktemto, and is a theme of sadness. Dragon Quest IV is a good, enjoyable game, but not extraordinary by any stretch of the imagination. As far as NES RPGs go, it’s certainly one of the best, but we know how much the genre grew in the 16-bit generation, and how its best RPGs absolutely dwarf their NES counterparts. Still, Dragon Quest IV is well worth a playthrough if you’re in a retro mood, and especially if you are interested in the series. It is certainly an important game in Dragon Quest’s history, one that tries some new things and introduces a few very memorable characters. While sticking to the roots, as far as RPG storytelling in the beginning of the 90s goes, it still tries some interesting things with the story and characters, with the villain’s motivation to do what he does. Gameplay-wise, the forced AI control of the rest of your party members with the exception of the Hero in the main chapter leaves a bitter taste in your mouth, but it’s not a major problem. Grinding is required here and there, but it’s in small quantities. And, best of all, the first-time players will always know what they need to do next, a very welcome improvement from the first three games. If you enjoy the NES and don’t mind old-school RPGs, this is one of the games that deserves your attention. 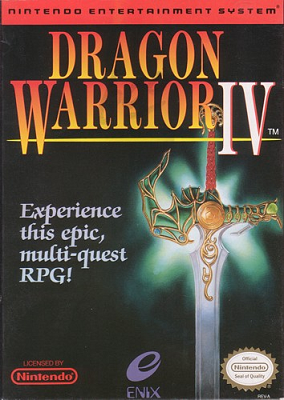 These really early RPGs are pretty hard to enjoy for me, was trying Phantasy Star 1 a while ago and you really gotta pay attention since there is no journalquest log. 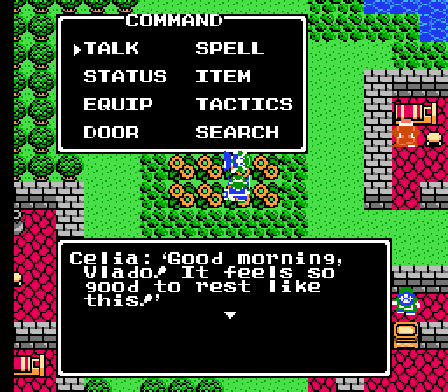 I’m impressed how colorful DQIV is though, would be nice to have on handheld to play in bed.